It's so interesting how people respond to Nostradamus and take him seriously. I find him funny. Don't take the bait, people. Right now the NCAAs are a four team race: OSU, Wake, UVa and Texas. Columbia had a helluva indoors. I would add UNC to the mix, even though I don't like UNC. Still waiting to see what the Baylor roster will be when everyone is healthy. Florida might be better outdoors than what we saw at the NTI. There might be 7 contenders in May. Just thoughts on the potential of JJ Wolf. Wolf beat Jason Jung in January who beat Tiafoe in NY. Wolf really does have the potential to be top 50. Of course Tiafoe has had a tough start after AO; he reached a career high and then lost early in NY and Delray. I believe in Roy. Super cool guy. Wolf beating Jason Jung isn't too much to hang your hat on. Glad to see Jason playing the best tennis of his career in this late stages of his life. but he's been journeyman all his career as a pro and he's making the best of it now. But he's never been one of the top caliber pros. A horrible rude person. That’s for certain. First "down" performance of the year for Ohio State yesterday vs Penn State. Wolf lost the 1st set and had to rally to beat De La Bassetiere 7-5 in the 3rd. Joyce also had to rally from a set down to win, while McNally got routed 6-2 6-1. Yep it seems like Wolf struggled hard and had to find a way out of it. Didn’t know that Penn State would put up this good of a fight. Not to mention that OSU dubs #1 were down 4-5 as well. I was thinking about going to the PSU match, but birthday beverages with my brother won out. My thoughts....Penn State is not that bad; their #1 player is not bad, as well as #1 doubles. They are also well-coached, IMO. Plus, the match was played at PSU, which is a terrible indoor venue, easily the worst in the B1G. Put it all together, and I can understand the result. OSU is still at the head of the class in the conference, a contender for the title. PSU is a mid-level conference team, not that bad, and played at home in a crappy building that they are used to. 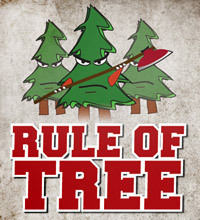 That’s a big “if”, since the tree might run into another Ole Miss and choke on another bone. Mmm hmm. So Stanford will lose 4-ONE then. Again, as I have said in earlier posts, please ignore the troll under the bridge. A&M leading on all 6 singles courts vs Ohio State. Wolf not there , in Drummondville challenger. Leaning more towards him jumping this year. Missing a big away stretch. OSU took the Dubs with #1 and 3 teams, but even though McNally had match point at #1, 2-5 all lost. Jesus. nothing Special, with Wolf missing, A&M is a very tough road Team, and missing your No.1 Player in this Environment you just lose. OSU will also lose at Longhorns on Thursday without Wolf. But still said nothing Special about this one. I read the story on the A&M website. It pretty much outlines what Nacho said. The Aggies are a tough opponent, but this does not diminish OSU's chances. It would be premature to toss them out of the championship mix. It is a good training ground for them, as precious few B1G matches get played outdoors. An early, warm spring would help everyone in the conference. A&M looked good, but they also definitely took full advantage of the factors described here. If anything this gives Tucker and his staff something to motivate the team with. TAMU is a tough place to play at. The courts, fans, weather, etc all make it difficult for anybody, much less an primarily indoor team. That said, from the live streaming feed, Ohio State did not look all that bad. Had they taken the tiebreakers in the first set on court 4 and 6, it could have easily swung the other way. So how far can JJ Wolf go in the pros ? Does he have Steve Johnson type of potential ?? Or does he have NO chance like Brandon Holt ? Which is why he crushed Geller in a dual match. Yes, the Texas coach getting that non-team-member into school four years ago was the difference in the match today. Cheating Longhorns? Are you implying that the team cheated in the match? Or are you just making a statement about the former coach? Lol, now that’s almost as bad of a spin as Matt Leinart’s post game comments after the Longhorns beat USC for the National Championship. But you gotta do, what you gotta do. I wonder how meaningless it would’ve been had OSU won? Anyway a #1 vs #4 College match called meaningless or valueless....laughable. I don't think he'll be a top player, but I think top 50 is a strong possibility. I can't stand watching him get ready to serve with the incessant bouncing the ball between his legs... Worse than Isner! The former coach that recruited every one of the current players? Oh so their all cheaters now? Wow, it’s a wonder we even have courts here. We certainly don’t need them. And once again, if you think that this is the only major program that this happened with, you’re wrong. Give it time. tough to play without your 1 and one of the best players in the country. outdoors makes a big difference too. OSU will have a good chance at the end but better if there is a lot of rain for them. I’ll revel in any thread I please, thanks. And what does Mark May have to do with anything? Does he have something to do with the sour grapes? I was laughing at, and poking fun at the ‘just a non-conference meaningless and valueless match’ comments...if the Buckee’s had won, I’m sure it’d would’ve been meaningful and had more value. It was #1 vs #4...TW posters and a lot of others care about that...like I don’t know, coaches, both teams, other teams, the ITA. Brushing it off doesn’t make the sting any less...although the A&M loss should be more concerning.